Powered by the crystalized core of a dying star, enslaved by the Immortal Space Emperor Phantos, Crystal Mecha is flying through Outer Space to destroy your world! 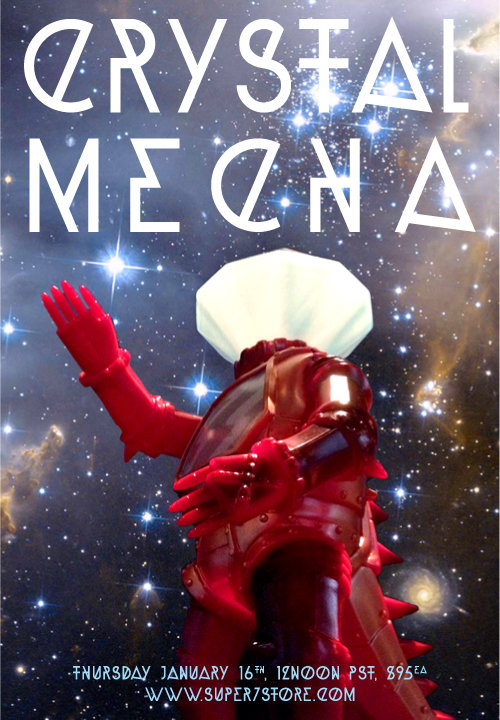 The Metallic Monster is cast in blazing red vinyl with black and metallic gold sprays, superheated and charred as he enters the atmosphere of the Earth, while his superdense crystal head is cast in translucent milky-white vinyl with soft metallic blue sprays. Available Thursday, January 16th, 12Noon PST, $95 each.